Tippy/Max: Registered name Algoa GoAway, Red Fawn male 119G-52382 Tippy will be turning 4 on November 18th. 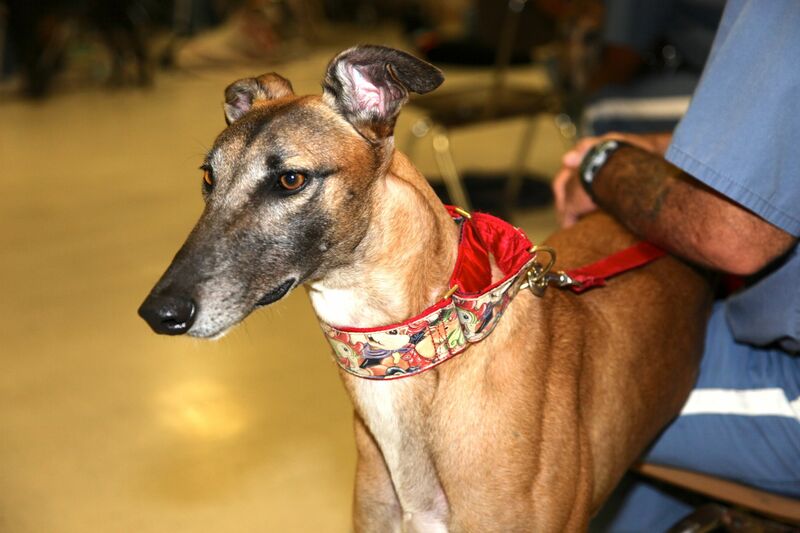 Tippy is a retired racing greyhound who is currently participating in the Greyhound Advancement Center Hardee Hero Hound greyhound and inmate prison training program at Hardee Correctional Institution. Tippy is a very lovable and kind dog. He loves affection and he will lean against every person he comes into contact with. Tippy is very intelligent and learns his lessons very quickly. Tippy has beautiful eyes and is very handsome. Tippy’s trainers say Tippy will definitely make a wonderful companion. Tippy will be graduating from the basic obedience training program and available to move into his forever home on December 6th. Available through Gold Coast Greyhound Adoptions.